18 layer multi-coated CPL German Schott Glass. Schott glass,high quality,99.9% polarizer transmittance. 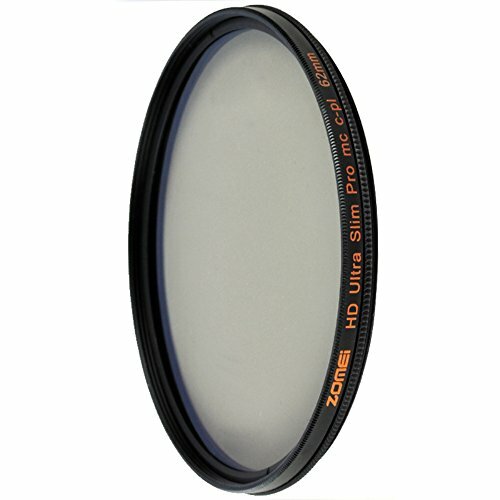 Protects lens from dust, moisture, fingerprints, scratches and impact. All Materials Used in this filter Meet the Requirements of European Union's standards of Environment Protection-ROHS. Reducing glare and reflections from non-metallic surface and increase in the saturation of skies and foliage.